I’m not going to write anything here about Iggy’s time with the toxin; it is not precious or rich to me. All I will say is that there is still a loop of time, or there is still a part of me, that is removing the side of a raised hospital crib in the morning light and climbing into it beside him, unwilling to move or let go or keep living until he lifts his head, until he gives any sign that he will make it out. This feeling of missed connection with writing also happened to me during my PhD, and I mourned the loss of pleasure in feminist theory when it didn’t match my lived experience of mothering a sick child. (I will post on this and other unexpected consequences of becoming a mother while completing a PhD in feminist philosophy in future). 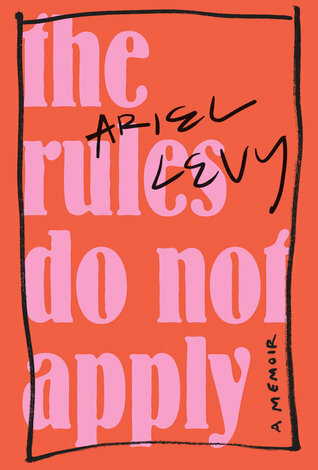 I also recently read Ariel Levy’s memoir The Rules Do Not Apply. I had a lot of points of connection with her story, including the experience of placental abruption. My birth story had a happier ending—I took home a live baby, whereas Levy birthed her son alone at 19 weeks gestation and watched him take his first and only breaths. It’s a harrowing story, but I found the reviews disheartening: on Goodreads and in the press, Levy is criticised for her privilege, narcissism and for writing about ‘just’ a miscarriage and a divorce. In this review Ariel Levy’s Infuriating Memoir of Privilege and Entitlement, I agree with just one point: Levy “stays contracted around herself” in her memoir. Grief —not just privilege—can do that. Levy does indeed write from a wide field of options, and grieves the loss of entitlement and control she imagined for her life. 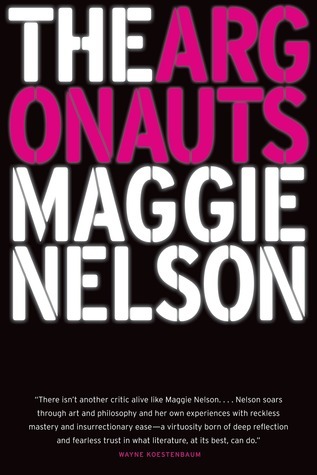 Reading her memoir, I didn’t need to hear a universal story. As with all the memoirs I read, I appreciated its specificity; there were moments of both connection and disconnection. I want to learn to listen better, to relinquish the deep pleasure of talking, to keep a conversation going. I am currently writing a (slow) paper with a colleague on the role of listening in writing groups. Interestingly, no one in our writing group considers themselves a good listener. We all struggle to listen well. My listening ability is often dependent on my mental state or the kind of day I’m having … Sometimes, such as when conditions are challenging, listening requires a more conscious effort than at other times when it is more automated. It is hard to quiet my internal voice and listen actively. It is also hard to quiet my external voice and allow enough time for other people to speak. A lot of busyness and activity detracts from listening. So much of what I do is about completing tasks, rather than taking the time to share ideas. This is very unfortunate in an academic context! When I listen to feedback I have received during writing group, I feel some distance between myself and my writing because I am seeing it through the eyes of others. This provides me with the opportunity to reflect on what I have written, why certain sentences or paragraphs require further clarification and how I need to tackle revisions … I have developed the capacity to ‘think alongside of others’ instead of just imposing my opinions on their writing. Following Lloyd’s (2009) work, we are reflecting on the importance of listening as a labour of care. I like the way in which she calls for ‘good enough’ listening to dissenting voices. This makes a space for listening through the moments of disconnection, not only enjoying the times we are in furious agreement with one another.